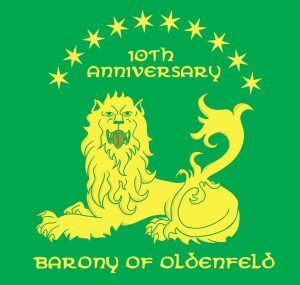 The Barony of Oldenfeld is part of the Society for Creative Anachronism, Inc. (SCA), an international, 503(c) non-profit, educational organization designed as a hands-on, learn-by-doing model to research and re-create European life prior to 1600. We then attempt to practice and teach what we have learned as authentically as possible, by constructing reproductions of medieval artifacts, practicing the arts and crafts we have researched, learning to fight with a sword and shield, and so on. The SCA also attempts to create an atmosphere embodying those lost ideals that are found in medieval romance: chivalry, honor, and courtesy. 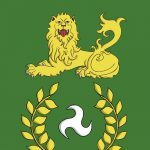 Our goal is to re-create the Middle Ages as they should have been, without the strife and pestilence, but with an attempt to preserve the ideals of beauty, grace, chivalry, and fellowship.